REPLACEMENT MOWER BLADES, EDGER BLADES, FUEL CANS, GRASS BASS, FERTILIZER SPREADERS, WEED TRIMMER LINE AND HEADS, TURF TIRES FOR MOST MAJOR BRANDS OF EQUIPMENT. Landscaping equipment covers a wide range of products dealing with landscaping and lawn care products and equipment. From trimmer heads to snow blower paddles. Edger blades are replacement blades for yard edgers. There's a wide variety of size's and brands available like Sear's, Lawn-Boy, and Exmark. Fuel containers for every landscaping trailer or truck. You always need some extra fuel along for refueling of that landscaping equipment. Grass bags for commercial and home lawnmowers. Brands include Snapper, Lawn-Boy, MTD, and Honda. Landscaping trailer accessories carries several styles and design for racks and mounts for securing all the tools need for the job safely on the trailer. Racks for weed-eaters, or hand held tools and more. 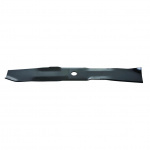 Mower blades offer replacement blades for all the most popular sizes and manufactures of lawn mowers. Spreaders, these walk behind style spreaders are great for spreading fertilizers. This section carries a variety of commercial grade spreaders for the professional. There are also spreaders available for the enthusiast. 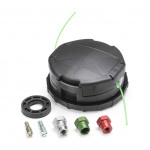 Trimmer Heads and Line are available for replacing that used up or worn out line with new line. 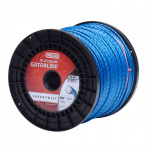 There is also premium trimmer line available for more durable line that last longer than standard. Turf Tires are replacement tires for all different size or tire and wheel for a large number of vehicles and landscaping equipment.